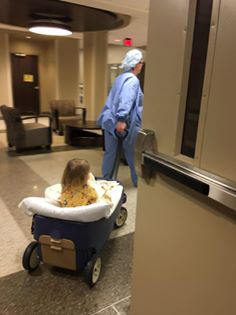 From the time we checked in, all the way to pediatric surgery, the staff at Methodist Jennie Edmundson was incredible. They were so accommodating to make us all feel at ease & have everything go smoothly. The nurses were so patient with Sophia when she was having a little anxiety about the surgery to fix her front teeth that she had broken in a fall. They all made her feel very comfortable including her in some choices of transportation & letting her take some time when she was nervous & really listening to her. They did an amazing job from start to finish and she loves her new smile.